Philomena was born exactly two years, six months, and one day ago. At home. 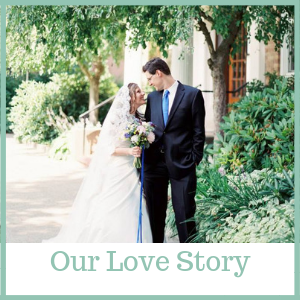 I have been meaning to write down her story for that entire length of time, and finally have it down to share with you. Also, after her birth story, I have a section on the safety of home birth, as I am frequently given worries/objections/anecdotal evidence on why home birth is never safe. I will talk about this more in the future, but for now am just throwing together some studies and statistics for those interested. 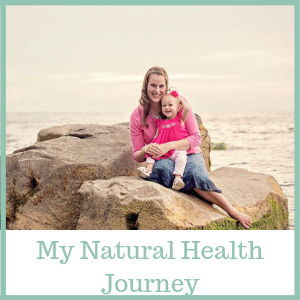 I was in the middle of my 41st week of pregnancy, and there were no signs of labor. My mom had been in town for a week now, and we were so ready for this baby to come. I collapsed into bed exhausted that night, waiting for Ethan to finish brushing his teeth and come join me. Then I felt it. That first contraction started. I texted my midwife after a few contractions and she said to relax and go to bed. I was so exhausted, I thought I would easily sleep through these labor pains and start having this baby for real the next morning, but I couldn’t sleep. The contractions came all night long, and I annoyingly had to pee after almost every one. When a contraction finished I would need to go to the bathroom and then return to bed. This was not restful. At. All. The next morning Ethan and I thought after a night of contractions we must be well into the length of our labor, but we were no where close to done! All of Friday I labored. My contractions kept coming anywhere from 7 to 25 minutes apart, never getting into any established pattern. They never stopped long enough to give me any real rest other than a few minutes of sleep here and there, but they were painful, and I fought them every step of the way. My midwives kept in touch frequently, and Friday night we told our doula we were ready for her to come. My doula arrived and we were so happy to have her with us. She was a breath of fresh air, giving us some good ideas for laboring positions and relaxing. We labored all of Friday night. My mom, Ethan, and my doula took turns throughout the night loving on me through the contractions. I wanted to sleep more than anything, but I was going to be up a long while yet. On Saturday morning I was exhausted. I wanted this baby out. I told my doula she needed to promise me the baby was coming this day, Saturday. She said she just couldn’t promise but we would keep going. We took walks around the house outside, would eat a bite or two of food here and there, and would labor in one room then another, trying to do anything to make me comfortable. My midwives had been at another long birth, but came on Saturday to check on us. My vitals were fine and baby’s heartbeat was fine, but immediately one of my midwives noticed how I braced against the pain of each contraction. She helped me relax through one and told me I had to stop fighting them. The birth pool was filled in our dining room, and I climbed in, grateful for the warm water. It instantly made labor more bearable. I asked for a crucifix to be place on a table near me, and each contraction I just tried to unite that suffering with Jesus. I remember saying “surrender” during contractions, trying to surrender to the pain and let it do its job. Early Sunday morning, my midwife said she wanted to check me. I was exhausted after three days of virtually no sleep and constant laboring. 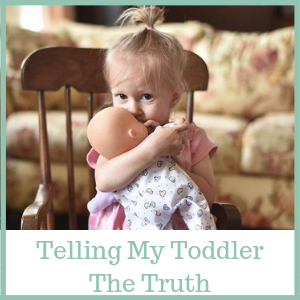 My behavior led her to believe things were not progressing, as my vocal sounds and body language remained the same hour after hour, and still no pattern to my contractions were confusing to say the least. She checked me, and I was at an 8. This news gave me the most amazing boost of energy. I was almost fully dilated, I was almost there. I threw myself into every contraction, swaying my hips and trying to relax through them. Suddenly I said I needed to sleep, and I went and fell asleep in bed for about twenty minutes. I was almost to the end, and my body needed that bit of rest to have the energy I needed to do the last part of my hard work. I woke up, and about an hour after my midwife had checked me, I finally felt the head move way low, and it was time to push. I had labored quite a bit in the bathroom throughout my labor (remember that whole needing to pee after most contractions bit? ), and wanted to go back there. I stood in front of the toilet, Ethan stood in the bath tub, one of my midwives was squatting down beneath me, and the other midwife was standing next to her with all of their equipment and a flashlight. My contractions STILL were coming at least 5 minutes apart, so pushing was a slow but satisfying process. Standing up allowed gravity to assist, and my body took over, doing much of the work for me. After about half an hour, a little after 8:30 in the morning on Sunday, June 7th, I pushed out the head, and then that little body fell right out into my midwife’s loving arms. I sat down on the toilet, and my baby was handed to me. I will never forget the wave of emotion. I just sobbed. Labor was over; I had my baby. It was a dream. I looked down to see what we had, and called out that it was a girl; Philomena. She didn’t cry at all as I thought she would; she was just so wide-eyed and alert. I expected her to be all bloody or covered in vernix, but she was the cleanest little thing, and that surprised me too. For all of the difficulty that long labor and birth had been, the second my girl was born, everything was amazing. I didn’t have any major tearing or need for stitches, Philomena was healthy as could be, and we were all cleaned up and settled in to bed before I knew it. While my labor was so long, I still wouldn’t trade my birth at home for the alternative. I labor much like my mother who was administered tons of pitocin with us kids that still wasn’t enough for her body to get a baby out as fast as the hospital wanted. She would go through agonizing labors with much harder contractions than I experienced right on top of each other for hours on end that were so traumatizing. My midwives made sure our vital signs were fine at all times, and I was able to trust my body and work Philomena down and out with contractions I could manage, and with longer breaks in between to recover. 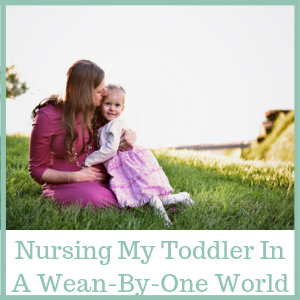 It was the work of a lifetime, and I would do it all over again to have my sweet little girl. 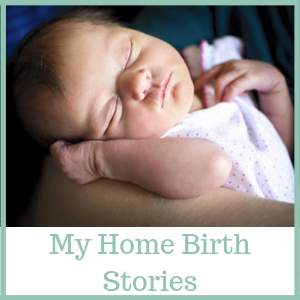 You can read about her little sister Zelie’s home birth here. As you will see, it was a totally different experience! Isn’t home birth inherently dangerous? No. Statistically, the evidence overwhelmingly supports the fact that planned home births for low-risk women, attended by midwives have equal and sometimes better results than hospital births in the United States. I will write more on this topic later, but do want to fully put out there that I think every women should feel comfortable, relaxed, and safe when she gives birth. If being home, in a birth center, or other alternative to a hospital would cause her anxiety, stress, and worry, then she won’t be able to labor effectively anyway. I am not anti-hospital birth, anti-doctor etc. I am pro-informed decisions, pro-safety, and believe this is a very personal decision. I absolutely would not hesitate to go to the hospital if for the slightest second my midwives thought that would be the safest choice for me or my baby. I fully pack a hospital bag just for this reason of the potential need to transfer. Having said that, there is this idea that as long as a baby is born in a hospital, they and their mother will almost always be safe. But, the U.S. has some issues with its infant and maternal mortality rates, ranking the worst in the developed world. Even the very mainstream Parenting Magazine has published this article on on the safety of home births, and this article on the issues with the U.S. hospital system’s low safety rankings. My favorite resource for home birth safety statistics is this video, “Unbreaking Birth,” that you can watch for free on YouTube. It is a talk by Ryan McAllister, PhD, a biophysicist and research professor from Georgetown University. He breaks down all of the statistics and studies in depth, and this presentation ultimately helped my own husband be open to home birth. It’s still on my need-to-watch list, but the documentary Why Not Home? The Surprising Birth Choices of Doctors and Nurses follows the journeys of a growing movement of medical professionals in America who are choosing to birth at home. I have heard great things about this movie. This is all I have to say right now on the topic of home birth safety, but I wanted to include it for those interested. At this time I can not participate in lengthy online debates regarding the safety of home birth, so I once again reiterate that this choice is what has been best for our family for the two children we have had so far, and I believe everyone should make the best decision for theirs. What a beautiful birth story for a beautiful baby! I am curious though, did she have a laid-back personality initially much like your labor? My daughter has been a Spitfire 0 to 100 kind of person since she was born and I believe that her labor and birth reflected that. What a lovely story! A lot of my friends have home births, I’m half thinking about it someday (birthing pools sound amazing) but can’t find midwife I trust, and have the most amazing Catholic OBGYN who I would truly hate to leave. But I totally agree with you, I always tell women that their safest birth will be wherever they are most comfortable. For a woman who is terrified of a hospital, that is not a good place for her. For one who is terrified of complications, home is probably not the best place for her. Our bodies know what they are supposed to do (generally) and often need a lot less help than we think. That’s awesome you have such a great Catholic doctor! Hello! I am Mariette, a Catholic wife and mother of two little girls, passionate about natural living and holiness in my domestic church. I have enjoyed seeing so many beautiful pictures and reflections and Bible quotes meditating on today’s commemoration of Christ’s Sacrifice on the first Good Friday. How greatly we have sinned, ourselves crucifying Him, and oh how He loves us. Today someone was tailing me on the interstate wanting me to go faster. I was going the speed limit and had someone right in front of me anyway. He kept right on me and I was so glad when we exited that he appeared to be going around me, then he whipped into our lane and slammed on the brakes to purposely cause us to crash into him. He admitted fault and apologized to us before the cops came, but the cop interviewed us separately and wouldn’t confirm to me if the gentleman was being considered at fault, although since I didn’t receive a ticket I would assume his insurance will be help liable. We are so grateful we weren’t injured at all (the girls were in the car with us), and that it happened to Ethan’s old car and not our van. Here is to hoping that we can use the insurance money towards the newer van we’ve been wanting to replace this car with anyway! Come see what's happening on Instagram!